2. Boil the sugar beans in unsalted water for about 1 hour until soft. 3. 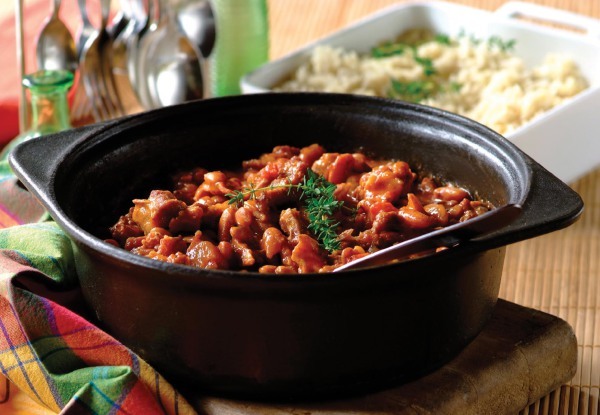 Brown meat in a pan in heated cooking oil then place in a casserole dish. In the same pan, fry the onion and bacon. Add the prepared sugar beans, chopped tomatoes, IMANA Brown Onion Soup and water. Bring to the boil, stirring. Remove from heat. 4. Pour over the meat, cover and bake for 1 ½ hours, stirring occasionally until the meat is tender. You may need to add extra water if the casserole seems dry. 5. Cook the rice in water & drain, stir the IMANA Chicken Super Stock Cube and margarine into the hot cooked rice. 6. Serve with the Lamb Casserole. 1. Roll meat in the TOP CLASS Mild Curry Powder. In a heavy based saucepan, add the oil and fry meat in batches until browned adding a little extra oil if necessary. Remove the meat and set aside. 2. In the same pan fry the onions then add the browned meat, black pepper, tomatoes. 3. 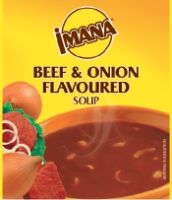 Add the water and then stir in the sachet contents of IMANA Mild Natal Curry Cook-in-Sauce and bring to the boil while stirring. 4. Reduce heat and simmer covered for about 1 hour then add the potatoes and cook for a further 10 -15 minutes until potatoes are soft and mixture has thickened slightly. 5. 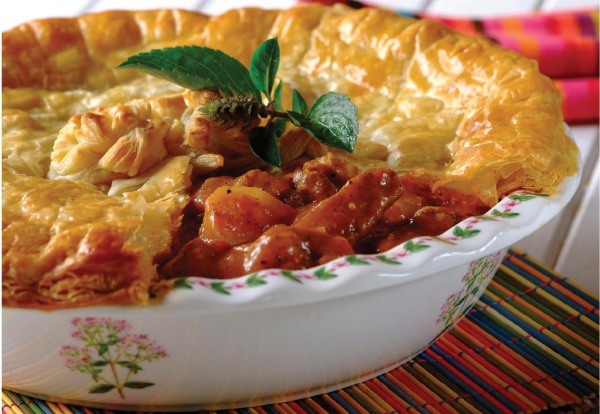 Allow to cool then spoon filling into a deep pie dish. Lightly roll out the puff pastry and lift it over the pie dish and trim the edges. Brush the pastry with egg and decorate with left over pieces of pastry. 6. Bake at 200°C for 15 minutes or until pastry has browned and is light and crispy. 7. Sprinkle with paprika and serve with a fresh salad of garden greens. 1. Rub the meat with the garlic and ginger paste. Heat the oil in a heavy based saucepan and brown the meat to seal it. Remove and set aside. Sauté the onions in the same pan until soft. 2. 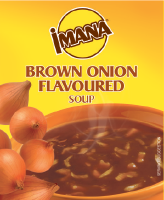 Add the IMANA GOURMET Karoo Lamb Stock Cube, the IMANA Brown Onion Soup with the water and the reserved syrup from the peaches. 3. Add the tinned tomatoes, honey, red wine and fresh tomatoes to the onions. Return the meat to the saucepan and bring slowly to the boil. 4. 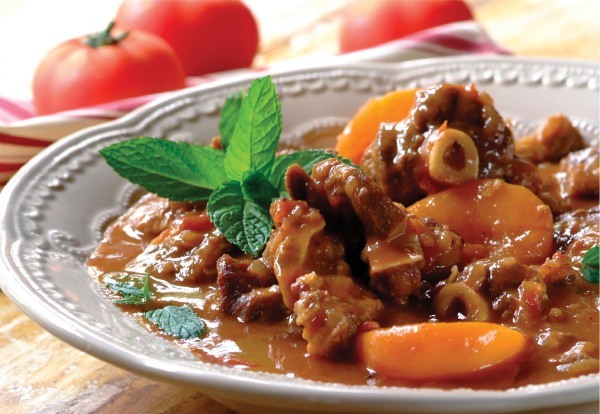 Simmer for 1 -1 ½ hours or until lamb is soft and sauce has thickened. 5. Add the peaches and allow to heat through before serving with a medley of vegetables.